This what Edna, a Badjao housewife who just turned 40, said emotionally when asked about what they were going through. 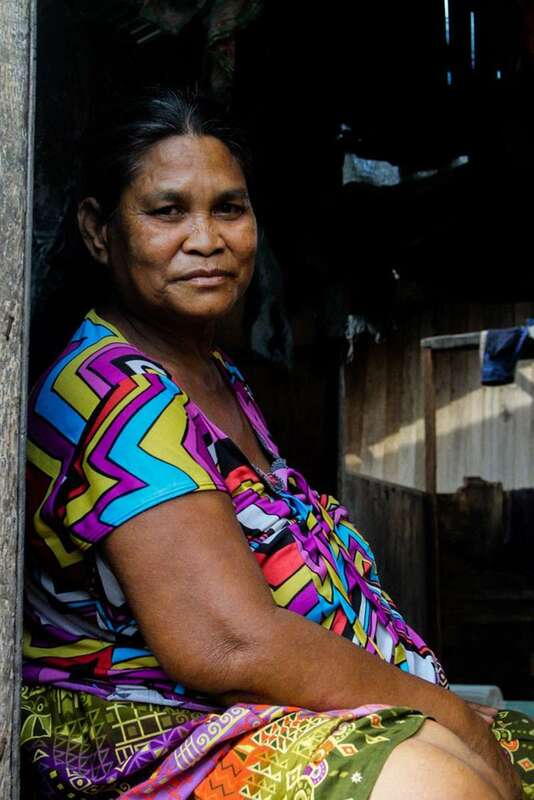 Edna is just one of the Badjaos who experienced discrimination and violence today due to various factors like financial crisis and uninformed rights. Edna said she and her fellow Badjaos in their community at Ramon Magsaysay Park have been allegedly threatened by street sweepers who would tell them to clean underneath their houses. “Gabason gyud nila. Parehas ana nga balay, oh (They will saw it (pillars) just like one of the houses here),” she said pointing a a house nearby that collapsed after its pillars were sawed off. “Wala man daw ang tag-iya diraa (The owner was not there at the time),” Edna added while recalling the incident. Meanwhile, other Badjaos also experience hardships in maintaining their livelihood like fishing and selling “ukay-ukay” and second-hand shoes. Jahara, 27, a mother of two, said her husband’s income from fishing is only P200 per week and supports 10 people in their family. “Ang among kalisod usahay [kay] sa trabaho [sa akong bana] kung dako [ang] balod dili [siya] makapanagat ug usahay wala na kapalaot akong bana, (What is difficult about my husband’s job is when the waves are strong, he cannot sail to fish),” Jahara said while cradling her three-year-old son who was then crying over a piece of food. Meanwhile, Mocsin, 20, a father of a two-month-old baby, supports his family by selling thrift shoes along the sidewalk or going from one house to another. “Maayo na lang panagsa maka-halin og lima ka-gatos para pang gatas ug pangpalit og pagkaon namo (I am sometimes lucky to have an income of P500, which I can use to buy my son’s milk and food for us),” Mocsin said while he was brushing off the dust and dirt from one of the shoes he is selling. Meanwhile, one of the most prevalent hindrance of a young Badjao in reaching his or her dreams is the lack of financial resources to pursue studies. Saldy, 33, thrift shoes sidewalk vendor, said he let his children stopped going to school. “Katong sa una ni eskwela man akong mga bata, karon wala na sila nag-eskwela (They used to study before but now they have stopped)," Saldy said. He asked his children to help him sell second-hand shoes. 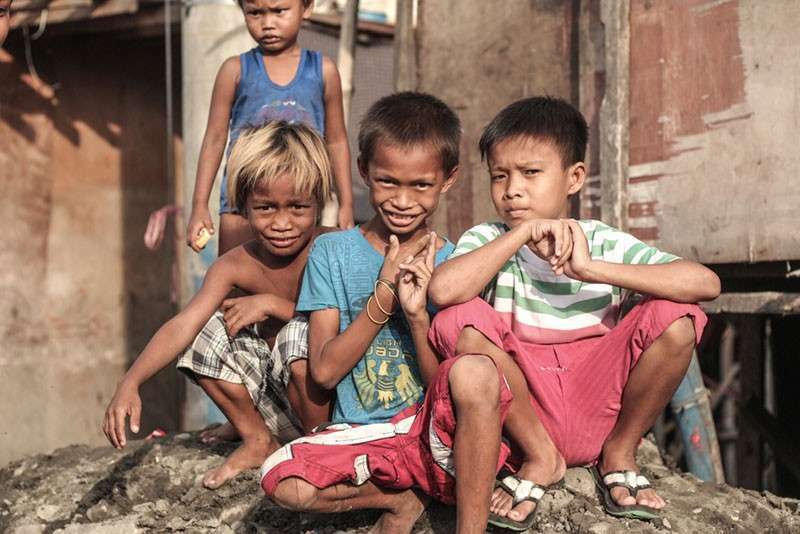 Their situation forces Badjao children to to sacrifice their studies and work at a young age. According to Section 1 of Republic Act (RA) 8371, indigenous peoples should be bestowed equal protection and non-discriminations of Indigenous Cultural Communities (ICC) or Indigenous Peoples (IP) as similar to other humans on the land. They have given equal rights: the right to equal opportunity, freedom from discrimination, basic needs and services, and others written thereby the law. Edna, Jahara, Mocsin, and Saldy are just few of badjaos who face discrimination on a daily basis. These are some Badjaos who are uninformed of their rights as indigenous peoples. Like humans, they also seek for acceptance, education, and respect from other people.